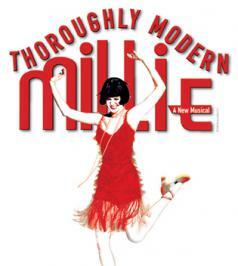 This week, I was disappointed to hear about the controversy around North’s production of Thoroughly Modern Millie, and what the students, families, faculty and community will take away from this production. Valuing one group while marginalizing another – This play was selected for the dynamic female characters while recognizing it contained anti-Asian racism. The school administration is thus condoning promoting one group at the cost of another. Historical fiction – this fiction does not portray the common experiences of Chinese American bachelors in the 1920s and masks the reality of the hardships and racism they endured. It was not easy (to say it mildly) for Chinese women to immigrate to the US during exclusion, and few white women would give up their citizenship to marry a Chinese man. Given there is so little Asian American history in the curriculum, it’s frustrating to know that this is what students are being exposed to. North’s endorsement of the play – I presume the school paid a licensing fee for the rights to the play. From the distributors stand point that’s another vote to them that there’s a demand for this type of content. In a bottom line industry, people put their money where their mouth is. I graduated from NNHS in 1994. It’s taken me 20 years to realize how influential the experiences I had during high school were in shaping my values led me to become the Asian American community leader I am today. During my freshman year, it was rare to see Asians on camera outside of a martial arts film, and it was the first time I saw an Asian American film. The film had a mostly Asian cast portrayed in America, speaking English without accents. It was a validating experience — the pride and joy I felt watching it sparked a lifelong fire in me to seek out more opportunities to view Asian-Americans in dynamic and diverse roles. Now, over 20 years later, I’m the Founding Director of the Boston Asian American Film Festival. During my junior year, I really struggled with the level of writing needed for my AP US History course. With the support and encouragement from Mr. Moore, I chose to write a research paper comparing the Chinatown community’s reactions to the proposal of the Central Artery in the 1960’s with the Big Dig in the 1990’s. Through that I learned how the Asian American community was much more active and organized in the 90’s in standing up against plans that would have had a negative impact on Chinatown residents, and that voicing your concerns can make a difference. Unfortunately, I will not be able to attend the production this week as I am currently out of town attending CAAM Fest (the largest Asian and Asian American film festival), but given my role at the Boston Asian American Film Festival and Chinese Historical Society, I would be more than happy to discuss opportunities and/or give references to others that can help to support the administration, students and faculty in moving forward so that students leave North with experiences that are more supportive in their journey towards self-identity and awareness. There’s going to be a forum at Newton North at 7 pm on Monday 3/17/14 to talk about the aftermath of the musical. She said to tell folks who are angry about TMM to show up and weigh in, as it’s most helpful if these folks have also seen the musical as well. I’m disappointed that the promised discussion about the educational aspect of Thoroughly Modern Millie in order to break down Anti-Asian stereotypes will take place NOT FOR THE AUDIENCE who will view this but for those who opt this Monday to voice their concerns. Obviously, this group that is targeted is not in need of education with respect to negative Asian stereotypes as they most likely have already experienced it personally. This is a case of talking the talk but not walking the walk to me. There have been 1,514 hits to the post Thoroughly Modern Millie at NNHS is Thoroughly Racist as of now. It also indexes into Google and will stay up in perpetuity. It is my hope that other high schools considering Thorough Modern Millie will read this post and understand the racist issues embedded in this musical. I hope that they make better choices than NNHS. “Asian American faculty members at Newton and the AACC have been trying to tell the director of Theater Ink, the chair of the department of Performing Arts and the principal how offensive the play is since it was first announced. They’ve made some slight changes but they still don’t get why it’s offensive and there’s no telling what the actual performances will be like.